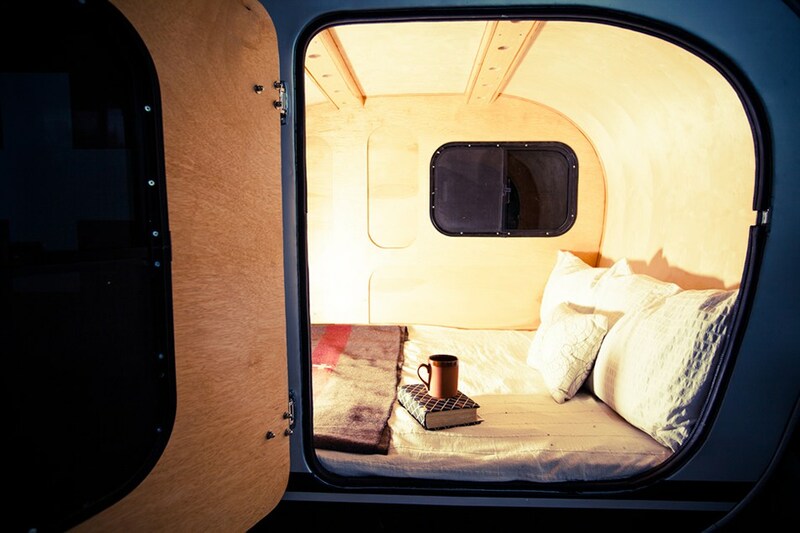 In a world where most products are mass produced by the lowest bidder, it’s nice to see a company handcrafting a quality trailer right here in the U.S. of A. They’re called Vintage Overland, a small family owned business founded by Britton Purser in Colorado. 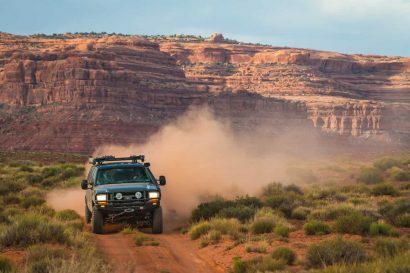 An outdoorsman with a taste for travel, art, and fashion, it’s no surprise that Britton eventually fell in love with overlanding in vintage vehicles. 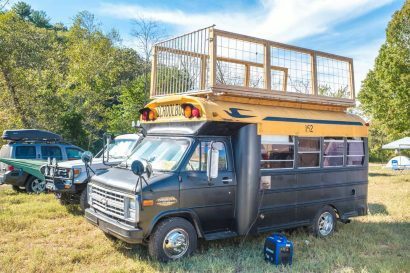 After more than a decade of experience in carpentering and historical restoration, he combined his skills in wood-working with his love for classic camping and an idea was born. Today the business is still run by the Pursers, and each trailer is hand made in their family garage. The tasteful styling and straightforward construction of their designs stand in stark contrast to the modern trailers rolling off the assembly lines now. They go back to a simpler time, when camping meant getting away from the world, and it still had an air of romance to it. The focus here is placed on an authentic experience, so if you’re looking for a hot water shower, stereo, or refrigerator, you won’t find it. There are three models of trailers available ranging from $10,500 up to $14,500, a steal when you consider the handmade quality and artful design work. 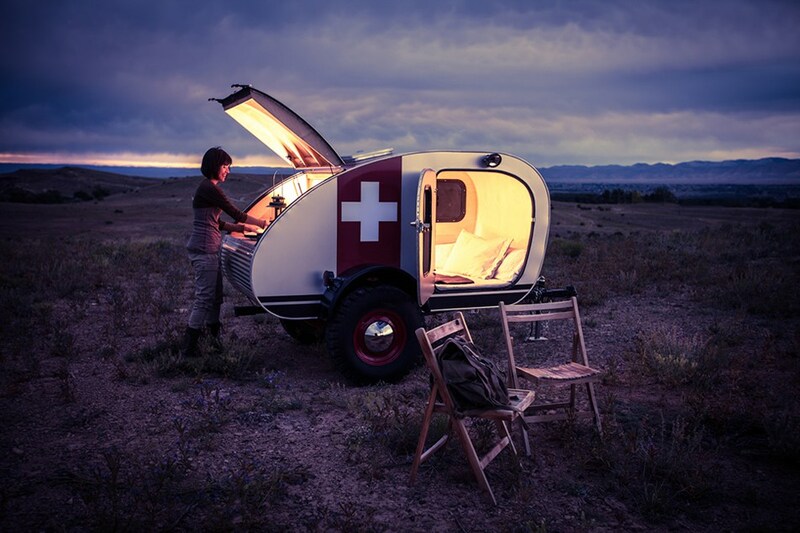 The base model is called the Tuco, and it is a utilitarian teardrop if there ever was one. It doesn’t even an include a rear hatch! 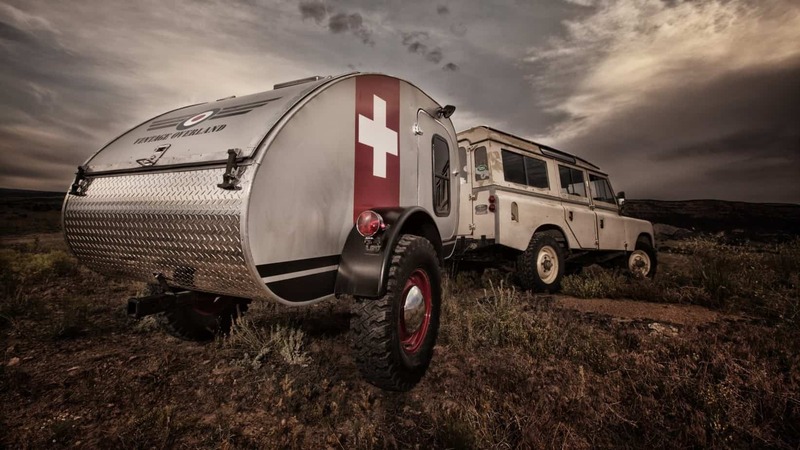 It is designed to be a work-horse for hauling gear, food, and supplies along for your adventures, while providing a comfortable place to sleep at night. 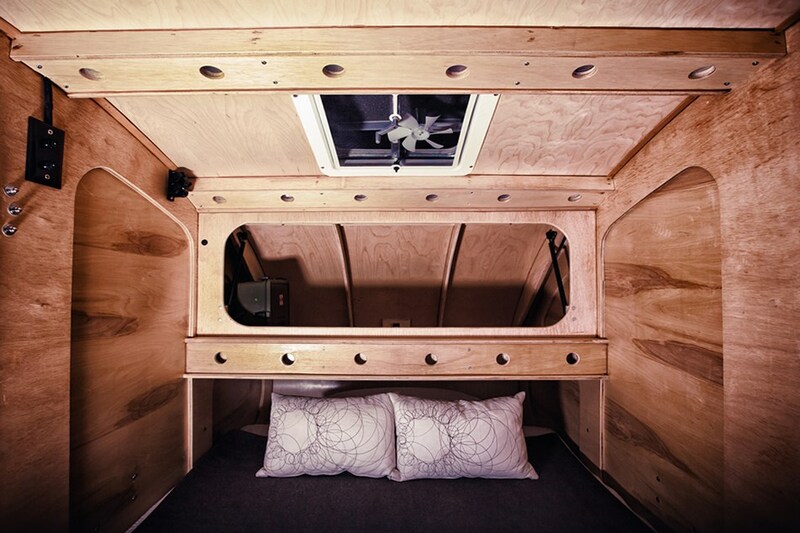 The cabin is 4’x8′ and the total length from tongue to tail spans 12′. Amazingly, this little beauty weighs in at just 600lbs! The $10,500 list price buys you the following standard equipment. If you want to add a few options to the list above, step up to the Great Escape model. It is based off the same frame and body as the Tuco, but they add a rear access hatch, a bug screen, and a multi-purpose storage boot. The trunk kind, not the foot kind. These handy and desirable additions tack on an additional 25 lbs and $2,000, bringing the totals up to 625 lbs and $12,500. Feeling like you want something a little more plush, or perhaps just some more room? 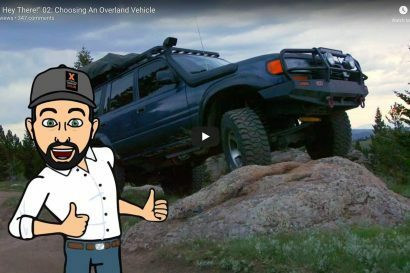 Take a look at Vintage Overland’s Flagship model, the T.E. Lawrence. This trailer is a full foot wider than the Tuco or the Great Escape, making the total dimensions 5′ wide by 12″ long. Even with the additional materials, it stills manages to comes in at just 700 lbs. So what does this extra size and weight gain you? Well a downright luxurious queen size bed for one. The T.E. also includes additional LED lighting, a larger storage boot, and a pull out writing desk. This package comes with another $2,000 ticket, setting list price at $14,500. Additional options that can be added to any model include a military inspired spare tire and mount, a round style rack system, a second door, and a welded front basket. By looking at their work, it seems clear that the Pursers understand our love for the outdoors. They don’t add features that distract you from where you are or why you’re there. 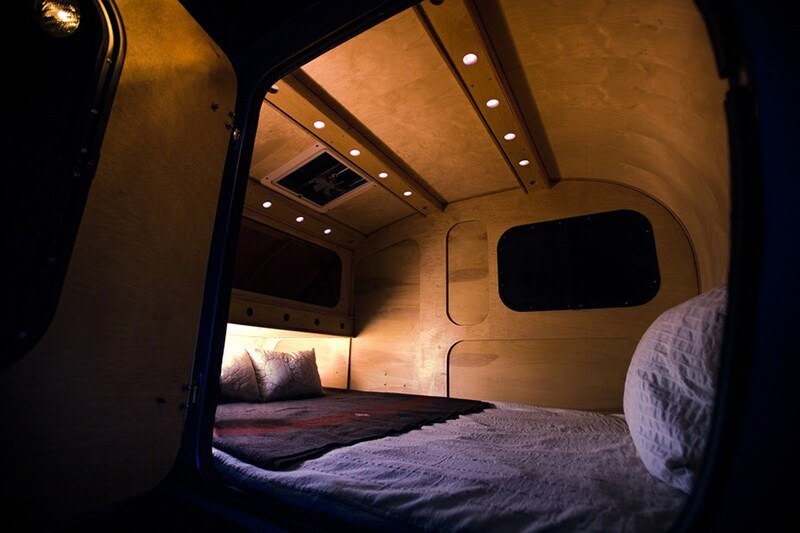 Instead they build a classic trailer that encourages you to get out and explore, while bringing the comfort of a warm bed along with you. They’re wanders like us, and the only place they want to be other than in the shop is on the road. “it’s not entirely about the vehicle that gets you there; it’s about the journey and what the vehicle represents. It’s about where that vehicle will take you and the spirit of adventure that it creates.” well said Britton, well said. 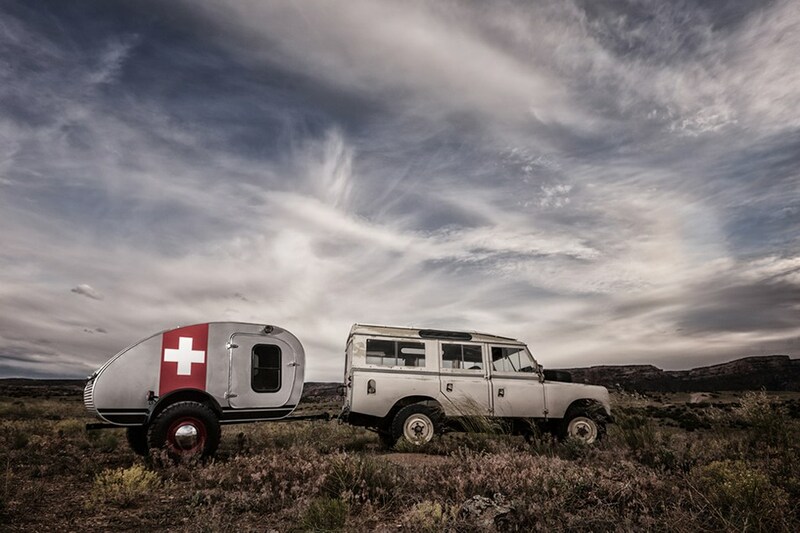 For more information on Vintage Overland or their trailers, check out their website here.